Discovered in 1975 off the coast of New Zealand, this very deepwater fish has now become a popular item in fish stores and restaurants. Caught from depths of almost 2000 feet, deepwater trawlers haul up the catch onto large factory boats that stay at sea for months at a time. As the fish is caught it is cleaned, bled and flash frozen for transport, resulting in a fresher product than some fish caught locally here. Air shipped to the United States from New Zealand, it has more airline flyer miles than most people! Limit your spices and enjoy this fish from down under. Mix juices, peel and fish in glass bowl. 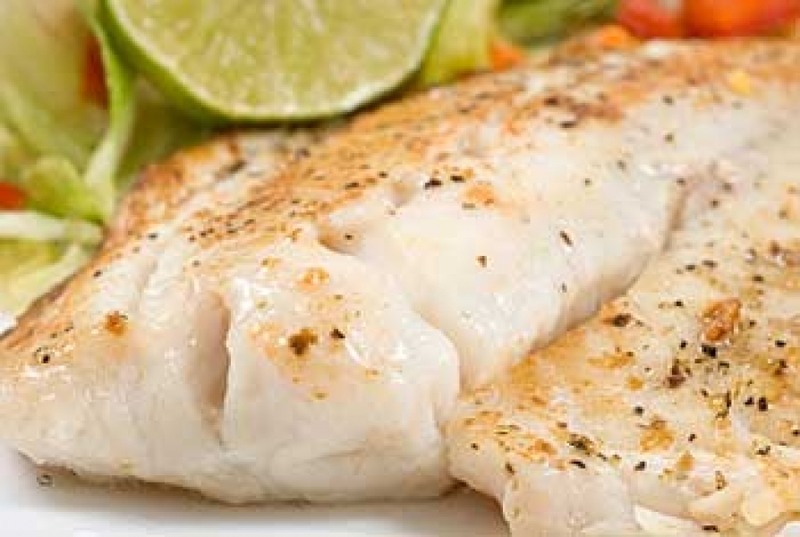 Cover and refrigerate up to 8-10 hours or over night, tossing occasionally so juices marinate all fish pieces. Fish will be opaque when done. In serving bowl place kiwi and onion. With slotted spoon lift fish from marinade and mix, reserving ¼ cup of marinade. 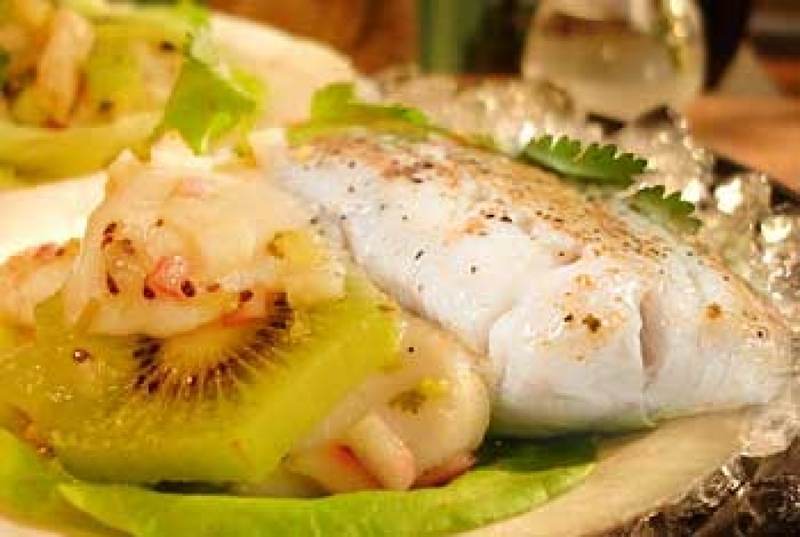 Prepare dressing, then toss with fish and fruit. Serve on watercress salad. Serves two. On sheets of foil large enough, (shiny side in) enclose one fillet each with herbs and one tablespoon butter. Close foil securely. Steam on rack over simmering water, covered, about 10-12 minutes. (Fish will flake when done). Serve immediately. Serves 2.